Booking a children’s birthday party? We provide the space, both inside and out, you provide the fun. 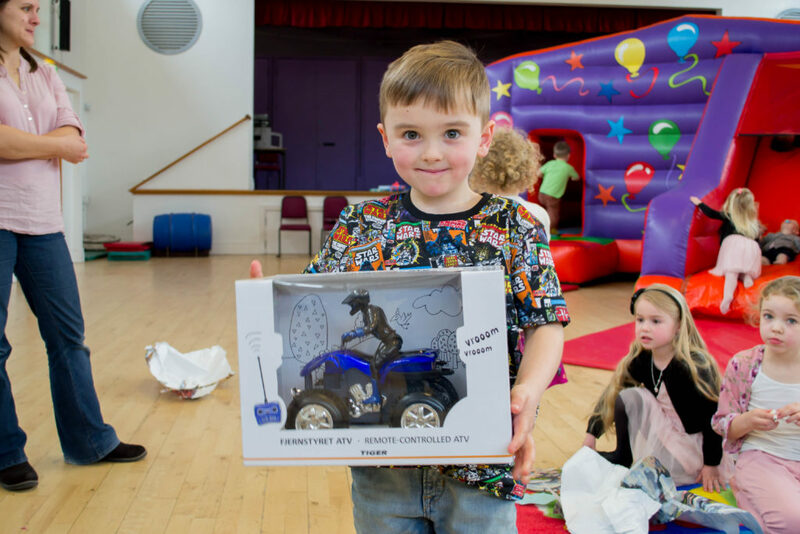 Let us arrange your child’s party and make it a day to remember. The price shown is for 15 children, any additional children will be charged at £10.00 per child. Minimum of 15 children, maximum of 35. 2 hour 30 minutes of small hall hire. Catering available from £5.50 per child. A £100 deposit is required at the time of booking. This will be refunded after your party. Children’s parties can be booked 7 days a week. Please contact us for availability. Sandwiches, cheese twist pastries, crisps, pizza bites, chicken goujons/Quorn sausages, fruit platter, apple/orange juice. Minimum of 15 children: tables, chairs and tableware provided. *Parental responsibility is required for the bouncy castle.